Water damage has the capability to destroy houses in DeKalb County, Georgia, so our water damage Atlanta company is available 24/7 to offer professional water removal from our water damage DeKalb County crew. We have over 35 years of experience providing fast water extractions to the community after storms and plumbing problems take a toll on the local buildings. 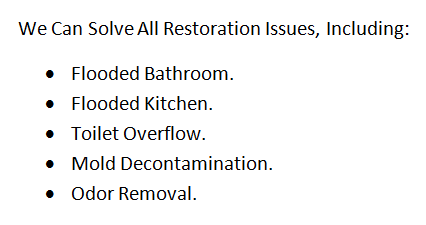 Whether your home suffers the effects of a hurricane or toilet overflow, our water damage DeKalb County team can return it to proper condition. We are licensed, insured, and bonded to quickly remedy any situation. 911 Restoration Atlanta technicians are IICRC certified with the latest drying technology for swift drying and clean up. Our water damage DeKalb technicians are your best bet for water damage restoration services and at an affordable price that will have you back in your home as soon as possible. We value professionalism and always put the customer first, so let us know what you need, and we will provide a stress-free water mitigation job your you. Our water damage DeKalb professionals offer same day service, so call us as soon as you spot leaks. Who do I Call for Water Damage in DeKalb County? Call our water damage DeKalb County experts to handle your water damage restoration services because between our equipment, experience, and expertise, we provide the most efficient and cost effective water repairs. 911 Restoration Atlanta strives to be everything you need when it comes to disasters. 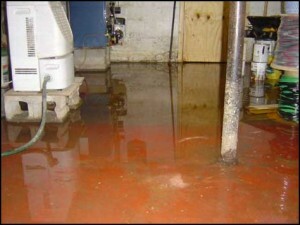 Our water damage DeKalb County staff will even walk you through the process of reducing damage while we are on our way. Call 911 Restoration DeKalb County to start pumping water out within the hour of your emergency call and we will turn off your utilities, to stop further destruction from occurring. In addition, we will help you move your furniture to keep it safe and file your water damage claim to make sure you get the most coverage from your policy. It is important you find a speedy, reliable company for the job, because if all moisture is not removed within one day, moa mold infestation can start and your homeowner’s insurance company may deem negligence to be an issue. Our water damage DeKalb personnel can handle this and we will make sure you get the water damage coverage you deserve from your homeowner’s insurance policy, so call us today. Water damage DeKalb County services are covered under homeowner’s insurance if the property is well maintained throughout the year, negligence is not at fault, and outdoor floods did not cause the problem. In order to prevent disasters in your home, clean out your rain gutters to ensure no leaves are blocking the path of precipitation, insulate your water line in the winter, and test all your water-based appliances. Taking these steps will prove you are not a negligent homeowner and with the help 911 restoration DeKalb County filing your insurance claim, your homeowner’s insurance company will have no choice but to pay for the damages. In order to not foot the bill for outdoor floods that cause damage, you will need a separate flood insurance policy. Our water damage DeKalb County operatives are working with all insurance companies, so call us as soon as you need water damage restoration and we will take care of all aspects of the job because we are the best. 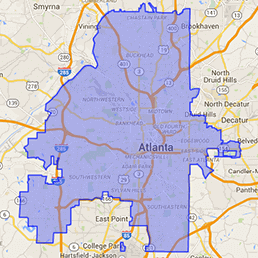 What is the Best Water Damage Restoration Company in DeKalb County? Our water damage DeKalb personnel make 911 Restoration the best water damage restoration company because we sympathize with the traumatic events that occur during a floods. We know how stressful the incident can be, so we do our best to remove any excess hassle, just as we remove the moisture from your home. 911 Restoration does this by working directly with your insurance company, and being the one stop restoration shop you need. Our water damage DeKalb County company trains for mold remediation, sewage backup cleanup, and all other disaster restoration services. DeKalb, Georgia houses many major headquarters, such as AT&T Mobility, Cox Communications, and Kroger. These corporate offices are necessary to keep the country’s economy afloat, and if a fire sprinkler shuts them down, we are all in trouble. So we act fast and professionally to keep them going throughout such an ordeal, and we will treat your private residents the same. Call us when you need a fresh start and see why we are the best in the industry!